A large population of humpback whales spreads across the Hawaiian Islands every year. This group will migrate from the California coastline all the way up to the Bering Sea. The best time to see the giant humpback whales in San Diego, California is from mid-April to mid-December. 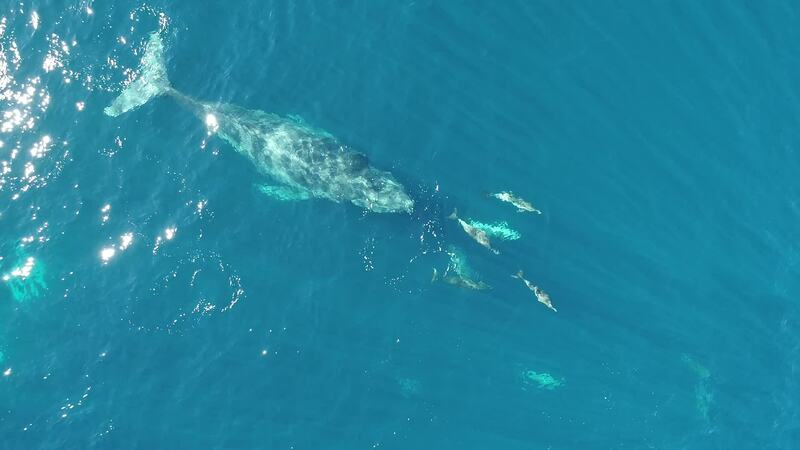 DolphinDroneDom does a marvelous job capturing some of those migrating whales in this drone video! Description: Humpback Whales might just be the most gregarious of the great whales. They are the main attraction of countless whale watching tours across the world due to their incredible crowd pleasing behaviors such as breaching, pec slapping, and tail throwing. Enjoy this drone footage of some of my most memorable Humpback encounters!